Measures 5"/13cm wide. 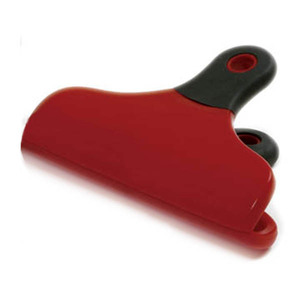 Has a strong and comfortable non-slip santoprene grip. Ideal for closing chip, cracker, bread and cookie bags.